We’ve had a wonderful time drawing with the students and faculty, starting in Córdoba, then in Rosario and La Plata for the congresso. 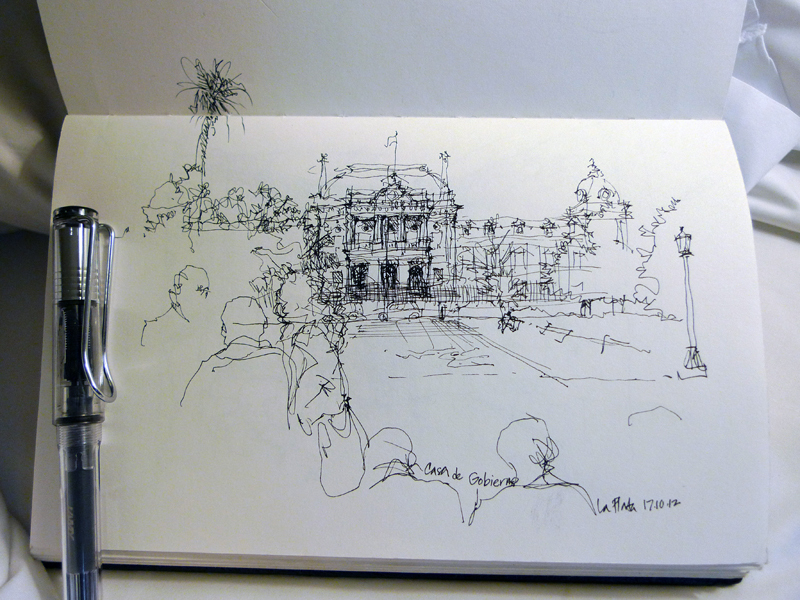 This was the last drawing site in La Plata, the Casa de Gobierno, before the exhibition of the students’ work at the Universidad Nacional de La Plata. 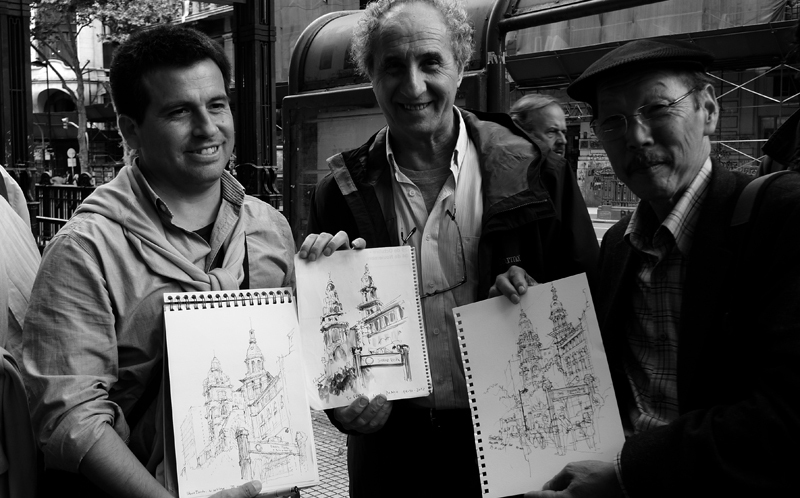 Here are Wilder Gómez Taipe, Edgardo Minond and me drawing similar views of Avenida de Mayo in Buenos Aires yesterday. Sadly, we leave for home today.